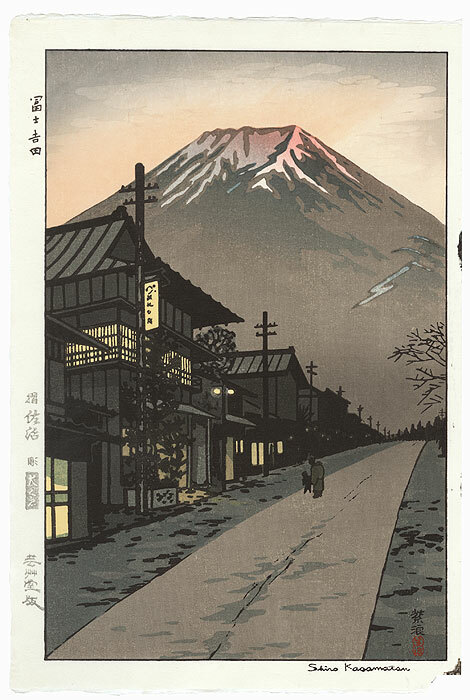 Comments - Handsome view of Mt. 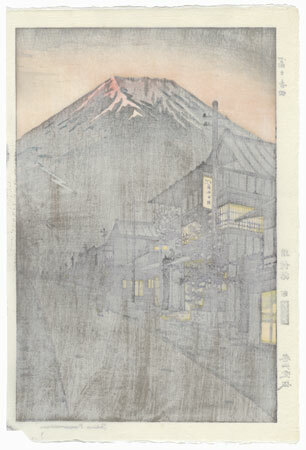 Fuji from Yoshida against a hazy yellow sky, the edge of the snow-capped peak illuminated in pink. Below, a parent and child in silhouette walk along an empty road, warm light glowing from the windows of the buildings along the edge of the street. 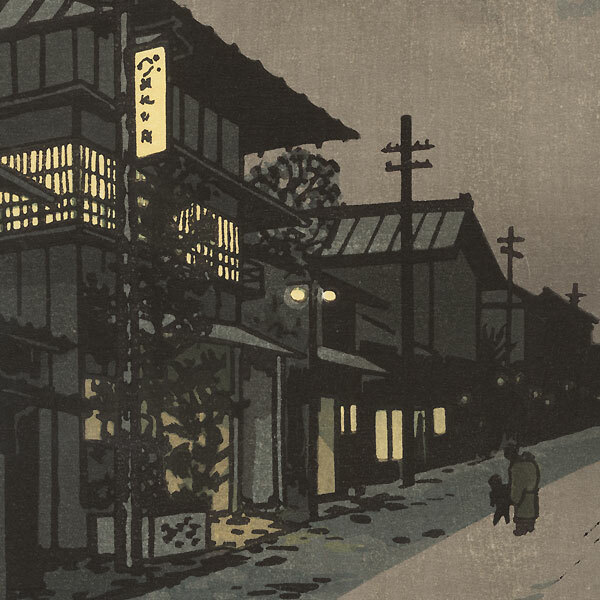 The first time we've had this attractive shin-hanga design.